So, let’s kick things off with the bad news — you can’t actually kill Mr. X. I know, it’s not what you wanted to hear, but you’re going to have to accept it. But don’t give up hope and throw your console out of the window! 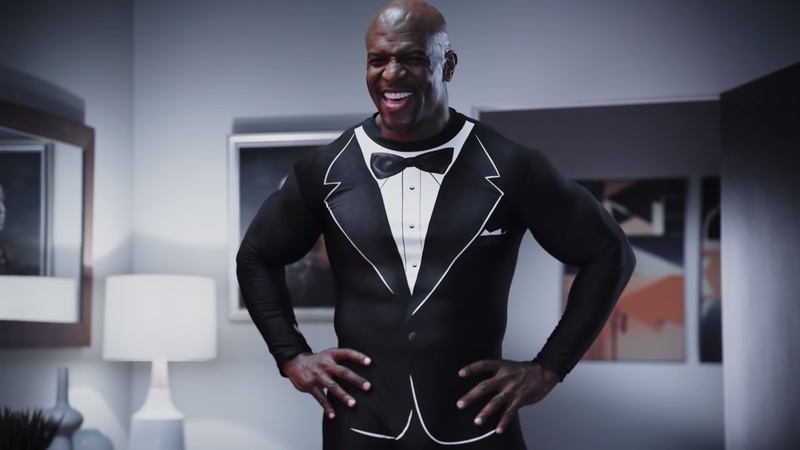 We can still mitigate this absolute tool’s effect on your life. 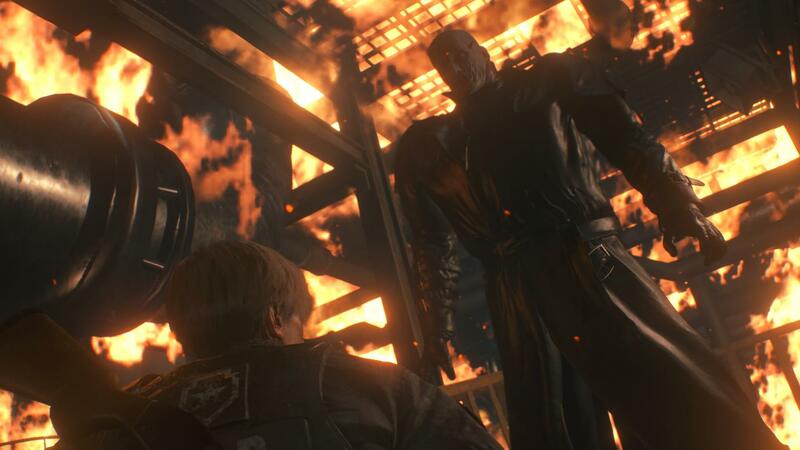 Oh, and there are some mild Resident Evil 2 spoilers ahead. Consider yourself warned! 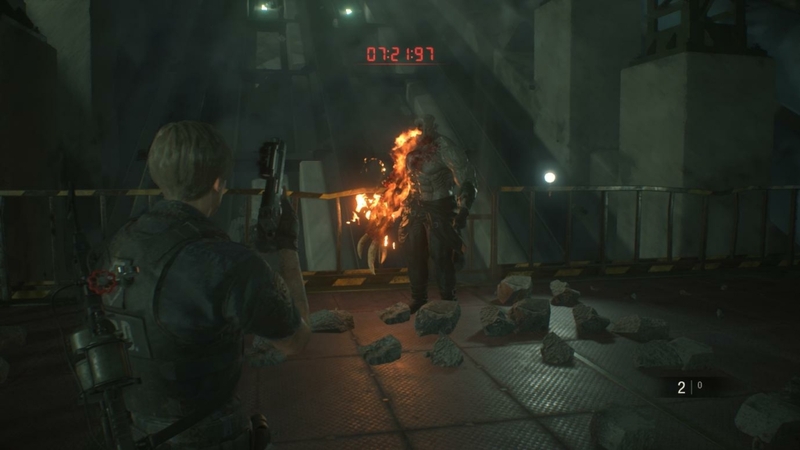 In your first playthrough of Resident Evil 2, Mr. X makes his dramatic entrance after you put out the helicopter fire in the police station. From here on out, he will pursue you to almost to the ends of the Earth. 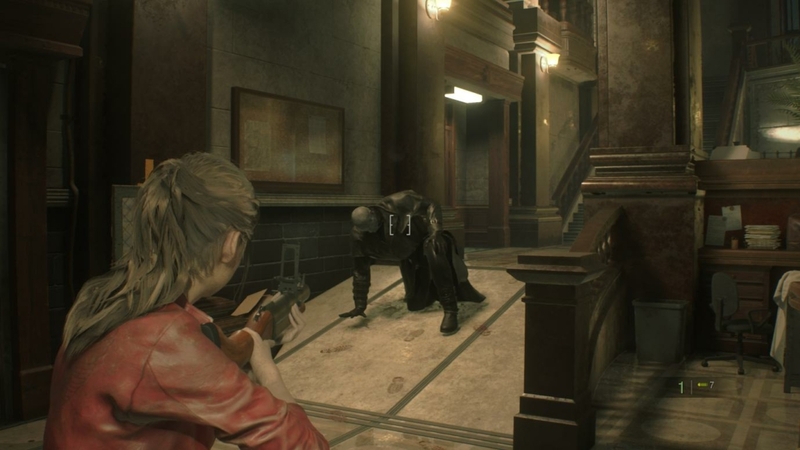 That “almost” is important, because there are certain rooms where Mr. X won’t dare follow, such as save rooms (excluding the Main Hall of the Police Station) and the Clock Tower. If you enter one of these rooms, he’ll politely sulk outside for a while before wandering off. There are also sections of the game where he isn’t around, so he’s not an omnipresent annoyance — just a recurring one. If you need him out of the way for a puzzle, you have a couple of options. The first solution is to lure him away to the far corners of the map, before running back to wherever you need to be. Mr. X will still give chase, but thanks to his leisurely walking speed you should have enough to time to accomplish your goals before he gets back. Your last resort is to just shoot him. 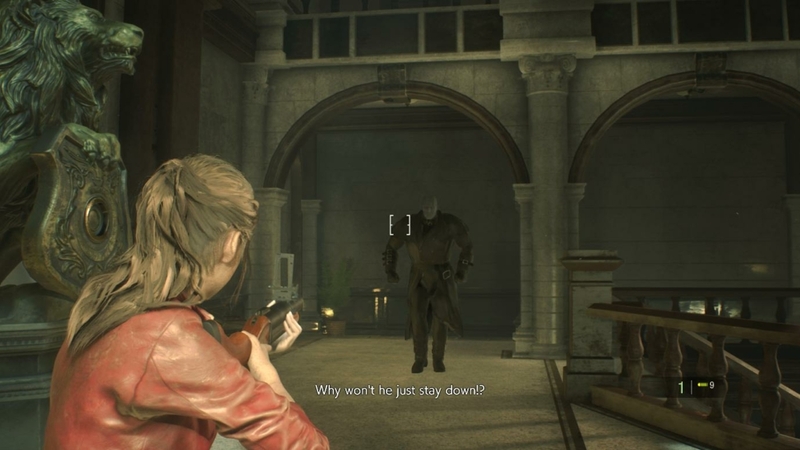 You can’t kill him, no, but put enough rounds into Mr. X and he will drop to one knee, giving you time to run away and do whatever it is you need to. Be warned, though. He doesn’t stay down for long (about 20 seconds). 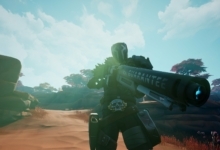 Grenade launcher rounds are particularly effective, too, but if you don’t have access to those then just go for pistol headshots. Super Tyrant, the enhanced and final form of Mr. X, is only a concern if you’re playing as Leon. Claire has her own final boss to contend with. Super Tyrant turns up during the final escape sequence, ambushing you on the cargo elevator. After a date with an unhealthy amount of fire, Mr. X sheds his swanky trench coat and hat to reveal the dad bod of the century. 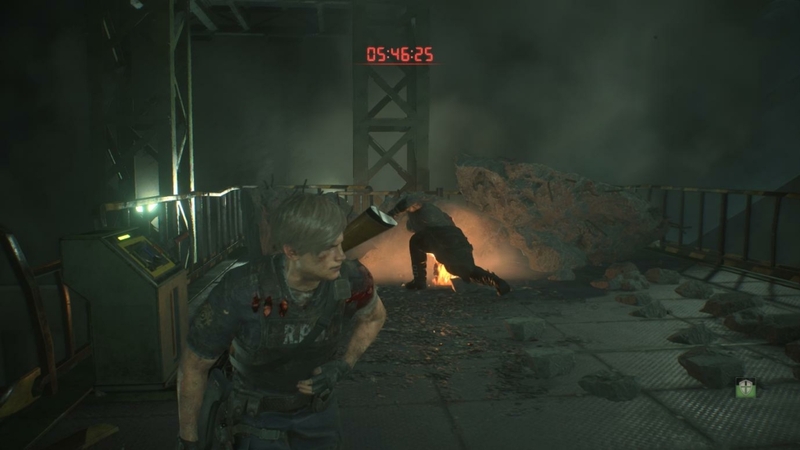 He’s also sporting a massive flaming claw arm… None of this is good news for poor Leon. What is good for Leon is that Super Tyrant wears his heart on the outside, probably because he just loves too much. This is the weakness we’ve been longing for, so it’s time to go to town on that exposed heart. Shooting him in the heart will occasionally stagger him, too, giving you even easier follow-up shots at his weak point for a few seconds. There isn’t a huge amount of space on the elevator, so you need to be wily if you want to stay alive. Get some distance between you and Mr. X, turn around, and take a few shots at his heart. Now be prepared to move quickly as Super Tyrant launches his attack. He will either walk up and swipe at you or perform a leaping attacking from a distance. Both attacks have a wide range, so stay as far away as possible. If Super Tyrant starts to roar, you’ll have to act fast — this is the telegraph for his most powerful attack. Shoot him in the heart with everything you’ve got to stagger him before he strikes. If you fail to stop him, Super Tyrant will charge and skewer you with his massive claw. This attack is devastating and can easily kill you outright! 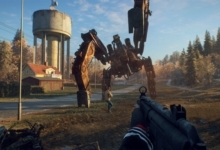 Once you’ve put enough damage into Super Tyrant, a cutscene will play in which a mysterious ally throws down an Anti-Tank Rocket Launcher. 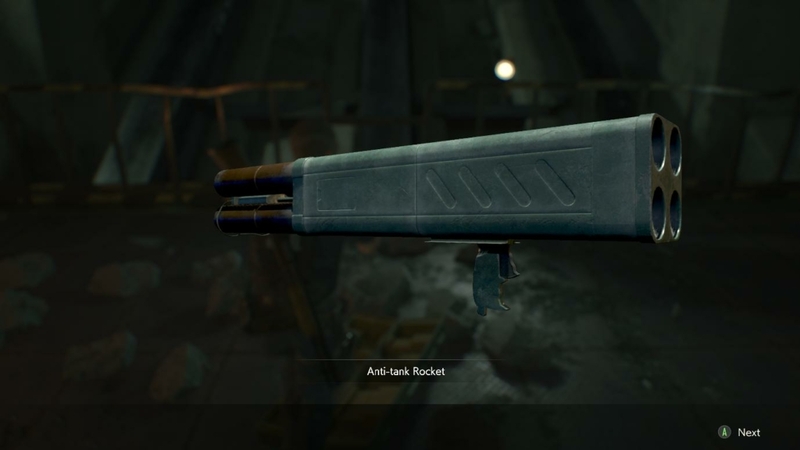 Pick up the Rocket Launcher, drop your best action movie one-liner, and blow the hell out of him. He only takes one rocket, which reduces him to a hilarious pair of smoking legs. Woo! Mr. X is no more. Sadly, you’re on a timer and can’t spend the next hour swearing at his infuriating corpse. 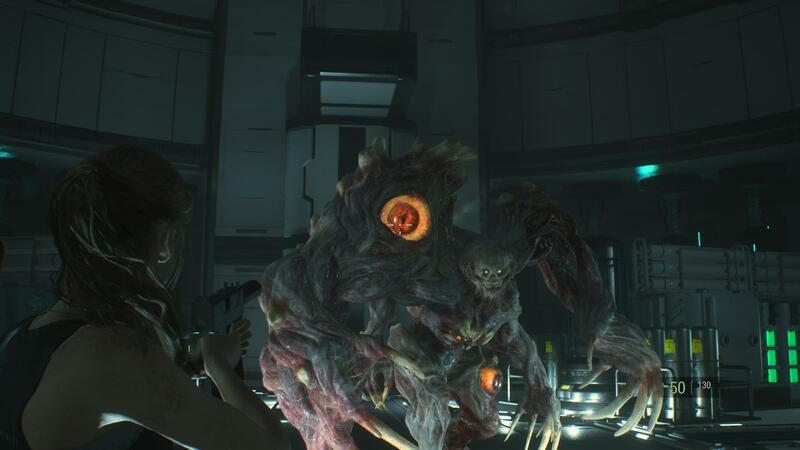 Say your farewells to the stumpy remains of the most annoying enemy in Resident Evil 2. Then make your escape.